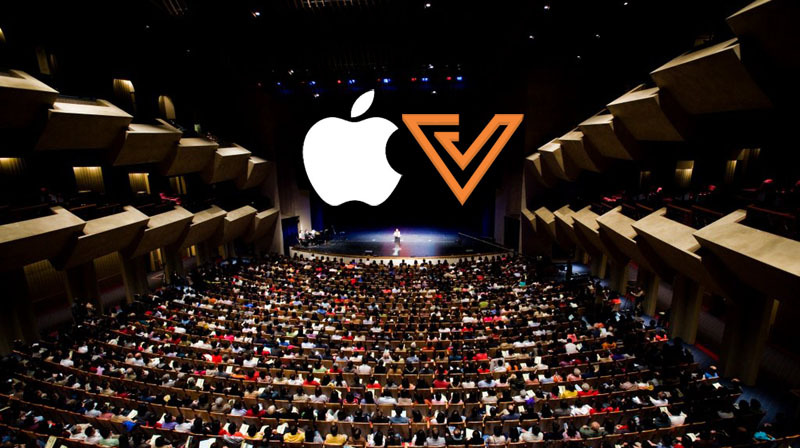 Vulcan Post has been invited for the 9/9 Apple Event, and we’ll be bringing you with us! Our editor Liang will be at the scene, ready to update you on everything you’d want to know straight from the event space in Cupertino. We are probably one of the few Southeast Asia media outlets present at the event, so keep up with our live blogging here, and tweets over at @vulcanpost. If I was excited to go before, the news of a ‘mysterious’ structure being built over at Flint Center of the Performing Arts just makes it better. The white cube-like structure lies on De Anza College campus, at the legendary location where Steve Jobs first introduced the Macintosh. If rumours of Tim Cook releasing his first brand new Apple product is true, then we should be in for a history-changing event here. When Mercury News approached De Anza College for a statement about this structure, a De Anza College spokesperson said the building was “a temporary structure for an event rental on campus” and that it was “not a public event and we aren’t able to give details at this point.” Sounds about right. If you need a reminder of the BIG NEWS that we may be witnessing here, do go over to our list of Top 5 Things To Look Out For. In case you haven’t seen, Apple has a sweet countdown on their website! As if they need to make us any more excited. They will be live-streaming it, but do check back here for our take on the event as it unfolds.